PT AKR Corporindo Tbk., a leading logistics and supply chain company, engaged in trading and distribution of Petroleum and Basic Chemicals, with extensive network of storage for liquid bulk and dry bulk, transportation facilities and port operations, is one of the largest distributors in Indonesia. AKR has operations in China operating container and bulk river port and manufacturing in Guangxi Province. In the midst of high logistics cost in Indonesia, PT AKR Corporindo Tbk., offers innovative and cost efficient logistics and supply chain solutions. The Company is ready to support industrial development in Indonesia and is in the midst of developing large Integrated Industrial Estate and Port Facilities in East Java which will provide logistics, energy and infrastructure solutions to Industries investing in Indonesia. The Company is committed to continuosly grow in a sustainable manner to create value for all stakeholder. AKR provides equal opportunities and attractive career path to every employee regardless of race, cultural background, social, religion, gender and physical condition. Please select the best-suited job category you would like to apply. Willing to be located in all branches area. Good leadership skill, strong strategical & analytical thinking, good problem solving. Frequent travelling to all branches area is required. Thanks for reading PT AKR Corporindo Tbk Jobs: 6 Positions. Please share...! 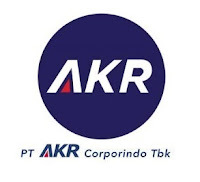 0 Comment for "PT AKR Corporindo Tbk Jobs: 6 Positions"